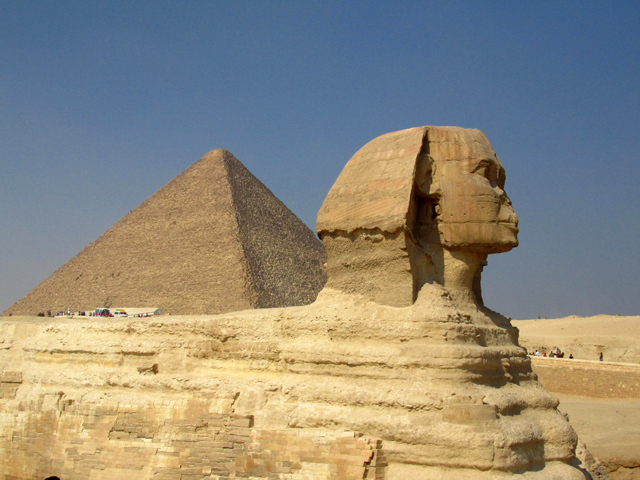 For hundreds ofyears, Egypt has been one of the most sought after countries in the world to visit. From unparalleled historical significance to resorts on the turquoise coast of the Red Sea, Egypt is a must visit destination for all travelers. No visit to Egypt would be the same without flying into Cairo and seeing the world's most famous pyramids. When I finally had a chance to see the pyramids in real life, at first from a distance I wasn't impressed (I think it was because I'd seen so many photos of the monuments throughout my life). It wasn't until I got to the base of these monstrous structures, where I could reach out to touch them and see the size of the stones that I truly was blown away! It would be hard to visit Egypt and not pay tribute to Luxor and the Valley of the Kings. Walking into the chambers of the great Pharaohs of Egypt and viewing the plethora of artwork and hieroglyphs is truly amazing. The Temple of Karnak and the the Temple of Hatshepsut were also two of my favorite temples in Egypt, located near Luxor. 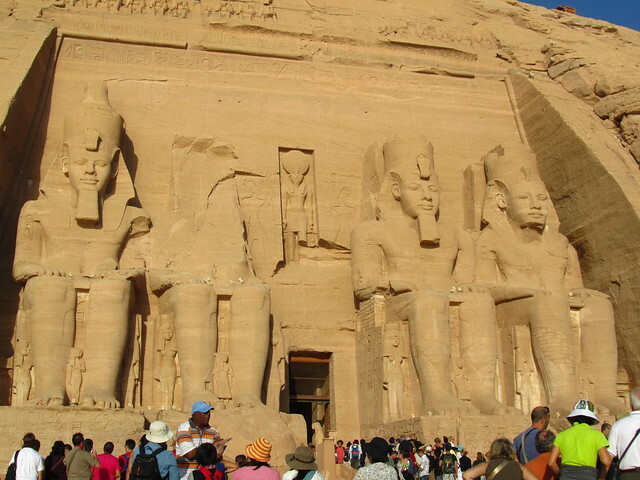 A few hours south of the city of Aswan is one of the most important and highly visited historical sites in Egypt: Abu Simbel. 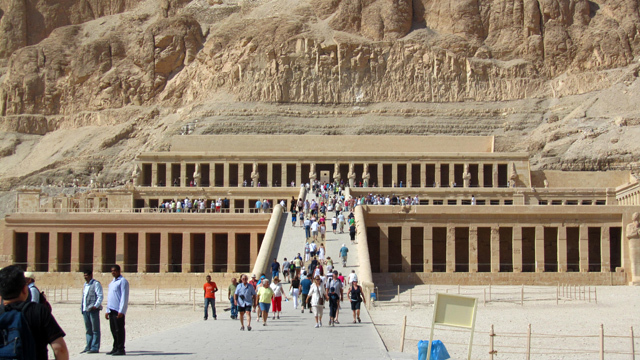 It was here that the famous Ramses II built a temple to display the battle of Kadesh. The temple has been moved from its original location (due to the shift of water), but it still remains an amazing Egyptian masterpiece. 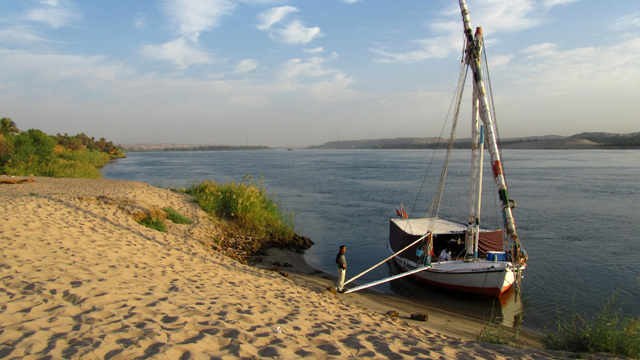 On of the highlights of my trip to Egypt was a 2 day cruise down the Nile River in a traditional felucca sailboat. Our boat sailed during the day and camped on the shore at night. Feeling the cool breeze whipping off the clear Nile while using nothing but the wind to fuel our ride was something that left me in awe. The warm waters of the Egyptian Red Sea are rated as one of the top underwater destinations in the world. Divers from all over the globe come to the Red Sea for a taste of the life that lurks beneath. If you are not a diver, the Red Sea also offers amazing desert beaches, clear water, and a chance to participate in a variety of water sports. Located on the Sinai Peninsula, this is the mountain where Moses received the Ten Commandments from God. Many choose to make the climb up Mount Sinai for the impressive sunrise or sunset. Egypt is a North African (but really Middle Eastern) nation that sits on the edge of the mighty Sahara Desert. Though deserts are hot and bitterly dry, there are a number of oases, not too far from civilization that offer an incredible opportunity to see life in isolation. 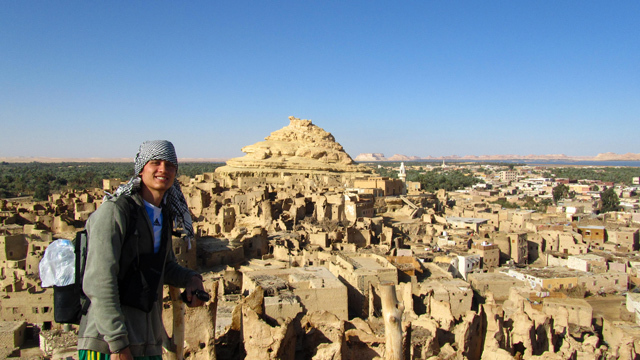 During my stay in Egypt I visited the Siwa Oasis, about an 8 hour bus ride from Alexandria. Cruising around on a donkey cart, I visited ancients ruins, climbed to viewpoints, and ate dates the entire time. From Siwa, it's also possible to organize incredible desert safaris through the sand dunes! Founded by Alexander the Great, the city of Alexandria was the capital and most important city in Egypt for hundreds of years. 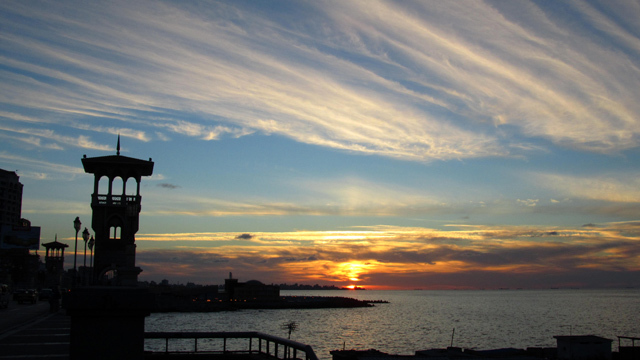 With plenty of significant historical monuments and a range of other activities, Alexandria is a pleasant city to visit. Egyptian culture is to me extremely interesting. One moment a person can be extremely aggressive, fighting for their rights on the road, and the next moment that same person may be chilling back with a cup of tea or coffee and puffing on a water pipe sheesha. Many of the coffee shops are specifically for males, though these days there are also many coffee shops that also cater to females. 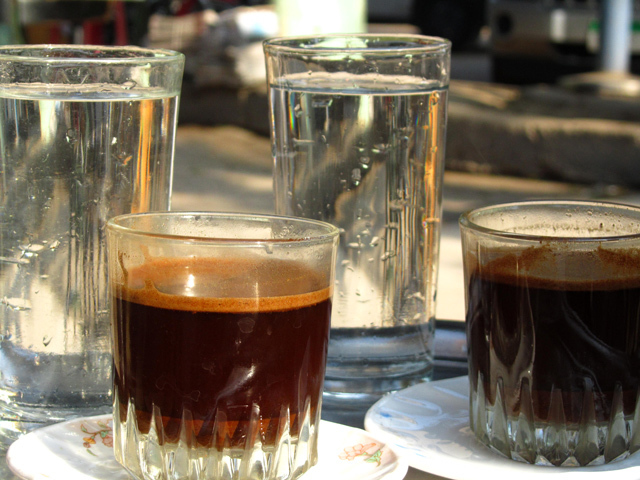 There's no better way to get a feel for Egypt than to start devouring some of the many daily delicacies that the country is famous for. 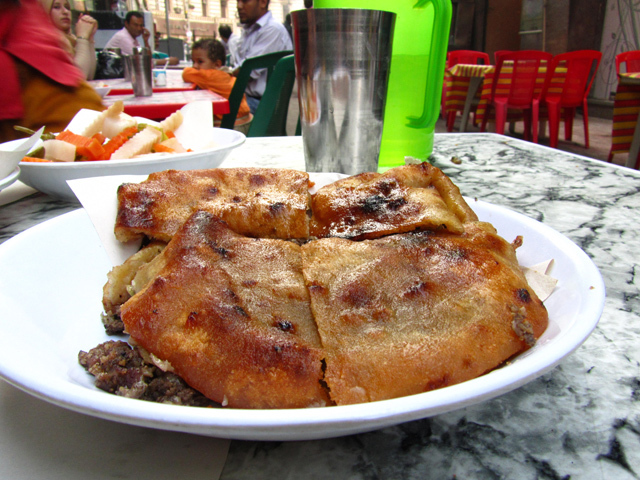 Egyptian food is widely available from Cairo to Aswan and there's an abundance of things to try. Start with a plate of ful medames (mashed fava beans, eaten with Arabic bread) and proceed to other delicious foods like koshari, hawawshy, and even an Egyptian pizza!